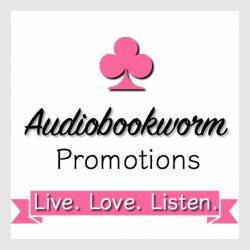 Looking for a series with haunts and ghosts for the month of Halloween? Look no further, Michael Richan’s should keep you looking over your shoulder! This book is now only $.99 for a limited time. About the Story: Steven is anticipating a quiet sabbatical at a new home. Instead, knockings and grisly apparitions begin to haunt him, relentlessly tormenting him at night. With a recent divorce and a son in college, he is left alone to deal with the ghosts lurking in the shadows of his house. Steven is determined to find a rational explanation. His father Roy offers to help, and soon Steven discovers Roy has dormant supernatural skills. Steven’s natural skepticism clashes with Roy’s “gift,” but soon Steven finds himself assisting Roy as he battles the forces inside his home. Together they unearth something much more sinister and evil than either expected: ghosts are just the beginning of the problem! The Bank of the River is a fast-paced and thrilling horror novel that explores evil, ghosts, disturbing creatures, and the supernatural gifts a father and son use to fight them. 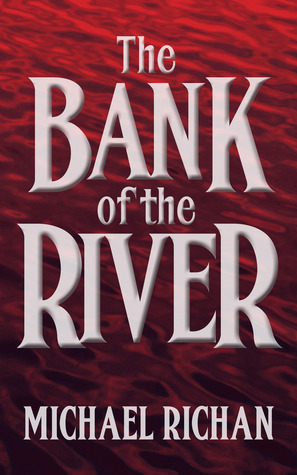 The Bank of the River is the first book in The River series. My Thoughts: I started reading this series late 2013, but started with book 2, A Haunting in Oregon. (see review http://wp.me/p40XtX-2W) I enjoyed the book and remember the story quite vividly until now. With as many books I read, that remark should be telling. October is upon us and I thought it would be fun to continue the series throughout the month, because honestly, they grow on you, Roy and Steven are a great team. What’s better than ghosts, haunted houses and Halloween? The Bank of the River gives me more backstory which now helps me appreciate even more A Haunting in Oregon. The main characters in this book are Steven and his father, Roy. Steven is one of those types of people where there is always a logical reason for everything that happens. He has had a large amount of stress in his life recently, a divorce and losing his job. With his severance bonus, he purchased a really inexpensive house. When knocking starts up in the middle of the night, four knocks, and then 15 seconds later, another four, he looks for the plausible. It must be the plumbing since it’s an old house. After thousands of dollars of repair, he hasn’t gotten rid of the problem. When the previous owner’s daughter-in-law tells him what she thinks about the house, that it is haunted, he readily dismisses her remarks. Ghosts!?!? You have got to be kidding. There must be a logical explanation. After several days of hallucinations, he thinks he may have a brain tumor. However, he checks out fine with the doctors. So, is he losing his mind? Is he going crazy? He decides to talk with his dad, whom he hasn’t been very close to. His dad listens and doesn’t laugh, and asks a lot of questions. They decide to see what’s going on in the house together. The story takes several twists and surprising, scary events occur. It’s more than just ghosts residing in Steven’s house. But will Steven and Roy live to speak of it? Roy is a believer in ghosts, more than that. He’s actually able to communicate with them. He’s an old man with a down-to-earth way about him. He’s really an interesting character and I enjoy his humor and direct approach to life. Father and son are complete opposites in many respects. Steven, the non-believer, discovers more about his father than he ever knew and finds he admires and respects him a lot. I liked watching the growing relationship between the two as they get to know each other and each starts relying upon the other. Steven learns to trust his ‘old man’, Roy learns to appreciate Steven’s logical mind. They become a good team. This story gets pretty scary at times—so it’s a heart pumper and nail chewer. If you like a mystery, embedded into the supernatural with plenty of suspense, then don’t miss out on Michael Richan’s horror fiction. About the Author: Michael Richan lives in Seattle, Washington. He was born in California, and raised there and in Utah. He has written horror fiction for thirty-five years. Visit michaelrichan.com to learn more about the series and to follow Michael via email. You can also follow him via Twitter @michaelrichan. This entry was posted in Horror Fiction, Mystery, Paranormal, Supernatural Suspense and tagged Michael Richan, River series, supernatural, The Bank of the River, The Bank of the River A Haunting. Bookmark the permalink.